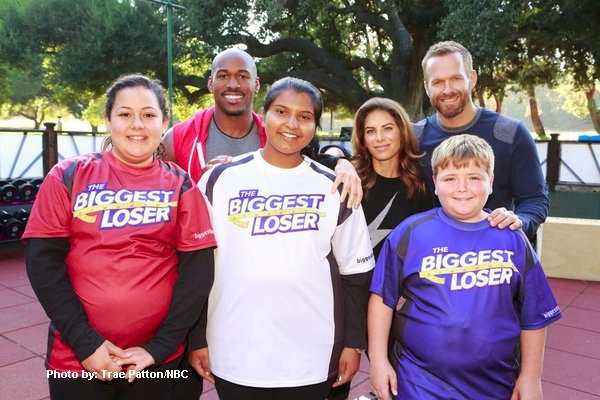 Child Contestants Skip This BIGGEST LOSER Tradition – Season 14! 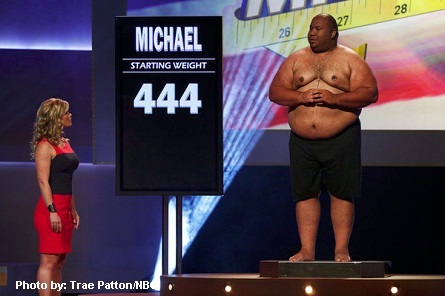 “The Biggest Loser” season 14 contestants. Losing weight has never been easy, but with a group like the three trainers on “The Biggest Loser” using boot camp-like tactics, it can be nearly impossible NOT to shed the pounds. The show’s two original trainers, Bob Harper and Jillian Michaels are back along with Dolvett Quince. Trainers say these kids won’t be getting on “The Biggest Loser” scale. Harper stated that having over-weight children on the show to address their weight issues, he contends that they will not be on the show every day, but instead will be going home and learning how to practice a healthy life-style. “It’s not going to be about getting a kid on a scale. We want to get kids more active, and get them having healthier choices.” Harper also said that trainers will not be hard on the kids and not pressing that the weight has to come off, but instead teaching them how to live healthy. Pictured: (l-r) host Alison Sweeney, and contestant, Michael. There are some differences in how to train an adult vs. a child. Quince said that because children are still growing, there are techniques used in a way not to shorten their muscles. “A lot of things kids bodies aren’t ready to do that adults bodies are,” said Quince. Jillian Michaels who returns to the show after an on-again-off again stint and now with child, says that she was compelled this season of “The Biggest Loser” because the show is addressing childhood obesity. With it being called “The Biggest Loser”, makes it a “pretty controversial thing to do,” and that fact that the show has a gigantic scale. However, Michaels attests that the kids wont’ be getting on the scale. “We wont be talking about their weight. But we will be showing America things that they can do to help impact the health of our younger generation. For the first time in the world kids now have a shorter life expectancy then their parents,” said Michaels. She said that the he best thing parents can do is to acknowledge the areas where they can improve and work on it. She said herself as a trainer wants to to send the message to help the parents understand that they need to do it with the kids – working out, eating healthy if they want to help their kid.